Christmas is actually around the corner, and I'm having a bit of a blogging break so I can spend some time with friends and family. That doesn't mean I'll leave you hanging - I've got plenty scheduled through until the end of the year! Today I'm kicking off my Best of 2015 series, looking back at my most popular and favourite posts, polishes and nail art of the past year. Ready to see what my most popular posts of 2015 were? 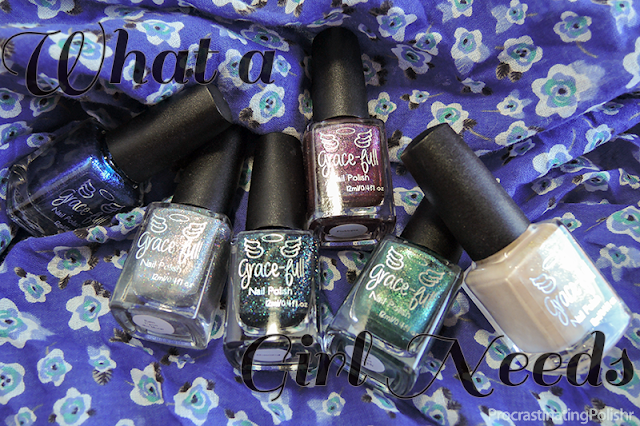 This year Grace-full Nail Polish really captured your attention, and the What A Girl Needs collection got a lot of love! For good reason too - this collection was developed as a thank you to the fans of Grace-full, with six shades inspired by colour boards submitted by six lucky polishaholics who got to see their dream polish come to life! 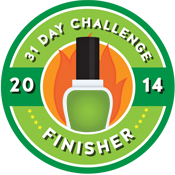 Grace-full Nail Polish are currently closed, reopening on Boxing Day (December 26th) with new shades and a sale! Another super popular post is actually over a year old, but still rated as one of my most viewed posts in 2015! 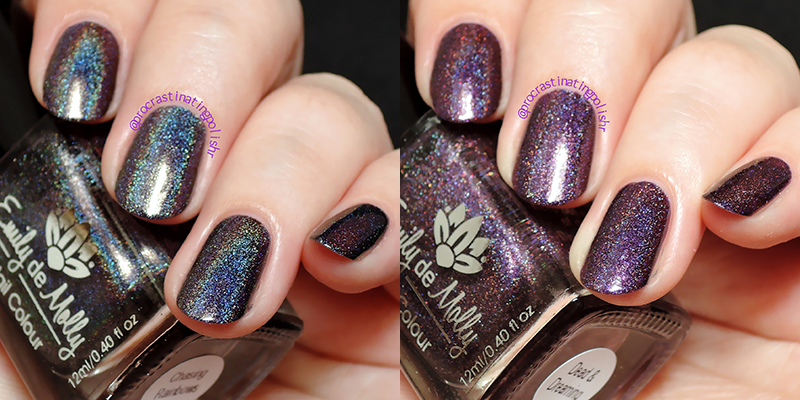 Of course, it had to be all about those magical Emily de Molly holos - Chasing Rainbows and Dead and Dreaming! People went wild for neon in a mid-year Hobby Polish Bloggers linkup, and while it's didn't turn out quite as planned I did manage to get a pretty fabulous shot of the glow in action under a UV light! Then there's my water marble & swirly stamping I did for a Stamping Saturday linkup. I was SO happy to see this was one of my most popular posts! I was quite chuffed for not only water marbling reasonably well, but then being game enough to stamp over it without ruining things! My most popular post was......... 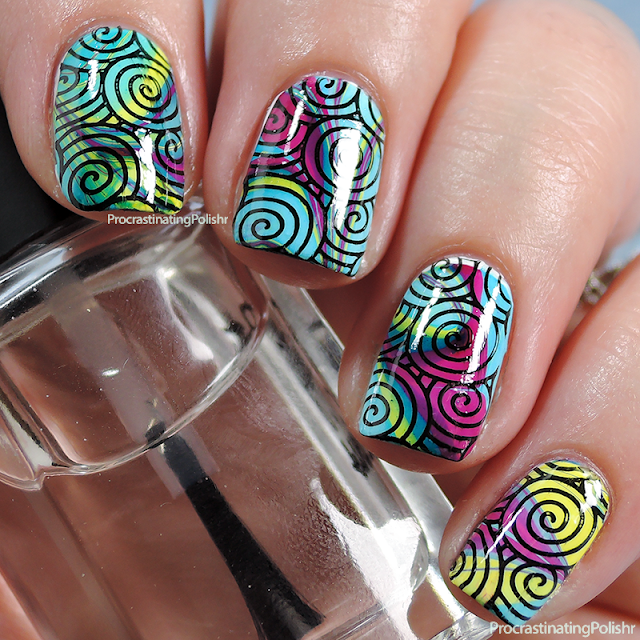 Double Stamp All The Nails!! 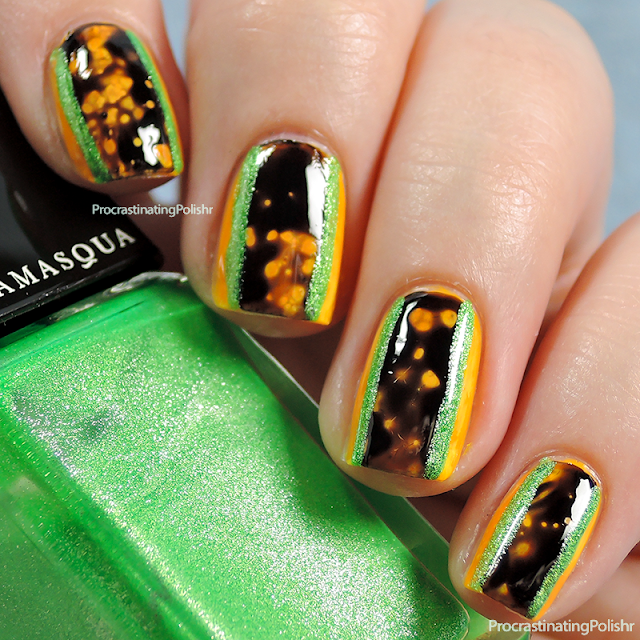 Clearly you guys love a bit of stamping and negative space because this post blew the others outta the water! It's also a favourite of mine for 2015, I love it's simplicity. 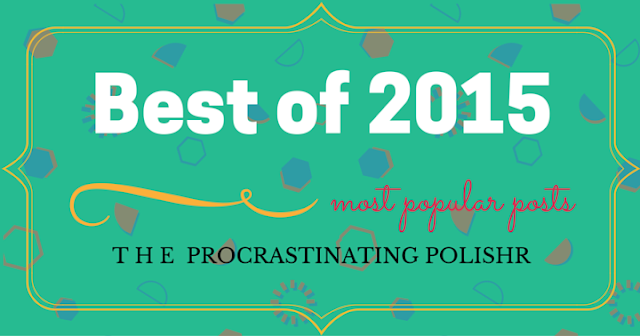 Thanks for being excellent readers all year, I hope to bring you even more polish love all the way through 2016! 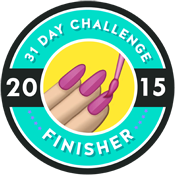 Stick around for the rest of the month - there's most Best of's and nail art to come!